Following the overwhelming demand for Portadown People’s Park Halloween Spooktacular event, Armagh City, Banbridge and Craigavon Borough Council is releasing extra tickets for the event which takes place on Monday 30th October! 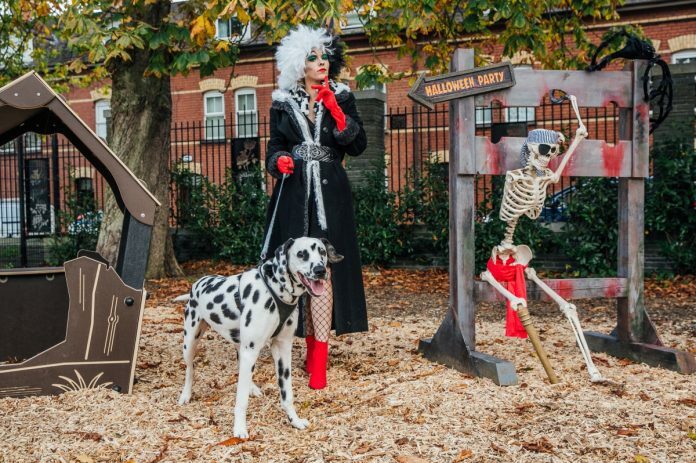 The first 2000 tickets were snapped up within two hours, so the Council has decided to put on extra ‘terrifying tours’ so that even more families can enjoy a spine tingling interactive journey around the illuminated park, filled with spooky sounds and scary but friendly characters to entertain all! With creepy crafts workshops, face painting, balloon twisting, glitter tattoos, whizzy dizzy and vortex tunnel this will be a night you won’t forget! Remember the date – Friday 20th October at 4pm! Log onto www.portadownpeoplespark.co.uk for tickets! A limited number will be available. Tours will start on Monday 30th October at 4.30pm and will run every five minutes with the last tour at 8.45pm. Please note – all access to the Park will be closed from midday on Sunday 29th October to facilitate setup for the Spooktacular event the following day. Access to the event will be permitted via the main gate at Park Road from 4.15pm.